Welcome to our Cavities Free Kids Club! 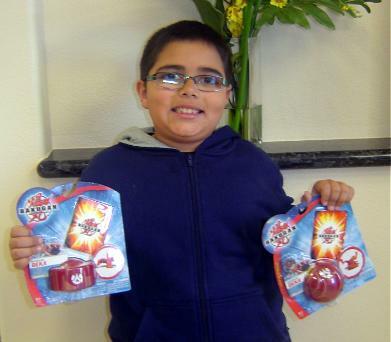 This patient won Bakugan toys for being a great brusher and flosser. All cavities free kids are eligible to enter to win a prize. Stay tuned for next month's winner!! !